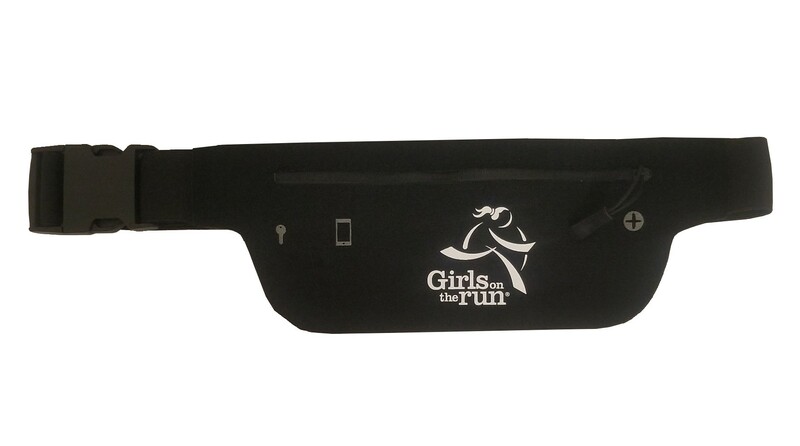 Keep all your items close by during those occasions you don't need a larger bag with the compact design of the Girls on the Run fanny pack. It's a perfect solution for carrying your phone and keys while running or working out. This black hip pack features a large main compartment and an adjustable belt to give you a customizable fit. Additional features include inside key pocket, built in slot for ear buds. Made of Lycra. Size 4" x 11"